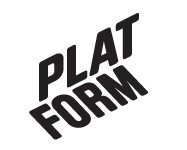 Finnish Dream – Platform r.f. A cloud of bubbles made out of wire grid is emerging out of a private balcony on the back of the apartment building on Koulukatu 62 in Vaasa. German visual artist Susken Rosenthal is currently the artist in residence at Plaform in Vaasa. The work she has produced during her stay is called ‘Finnish Dream’. The intstallation or cloud could be seen as the ideas, hopes and dreams that every individual person has about his or her life, normally invisible, anonymous, now pouring out of the balcony the cloud is opposed to the flat sliding windows of the facade. The installation can be seen from 7th to 30th June.